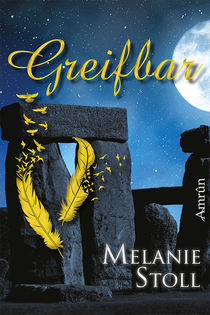 Vor ein paar Tagen hat mir der Verlag mitgeteilt, dass "Greifbar" in den Druck geht - und meine Protagonisten, Dorey und Julian, damit bald das Licht der Welt erblicken. Endlich darf ich euch alle Informationen zum Buch präsentieren, das ihr demnächst bestellen könnt. Thanks for one's marvelous posting! I certainly enjoyed reading it, you are a great author.I will ensure that I bookmark your blog and definitely will come back at some point. I want to encourage yourself to continue your great work, have a nice afternoon! It is not my first time to visit this website, i am browsing this web site dailly and get nice data from here daily. What's up to every one, the contents existing at this website are actually awesome for people experience, well, keep up the good work fellows. Nice post. I was checking continuously this weblog and I am impressed! Extremely useful information particularly the remaining section :) I handle such information a lot. I was looking for this certain info for a very long time. Thank you and good luck. An impressive share! I have just forwarded this onto a co-worker who has been conducting a little research on this. And he actually ordered me dinner because I stumbled upon it for him... lol. So allow me to reword this.... Thanks for the meal!! But yeah, thanx for spending time to discuss this topic here on your blog.